Europe 2020 is the European Union's (EU) growth strategy for 2014-2020. In a changing world, the EU’s economy needs to become smart, sustainable and inclusive. These three priorities should help all EU citizens to build a strong economy with good job opportunities, based on sustainably managed resources. The European Union has set five objectives to be reached by 2020 on employment, innovation, education, social inclusion and climate/energy. The strategy underlines the importance of research and innovation to prepare Europe for future challenges. So far, five European Innovation Partnerships (EIPs) have been launched in different sectors: active & healthy ageing, water, raw materials, smart cities & communities, and agriculture. All EIPs focus on societal benefits and fast modernisation. 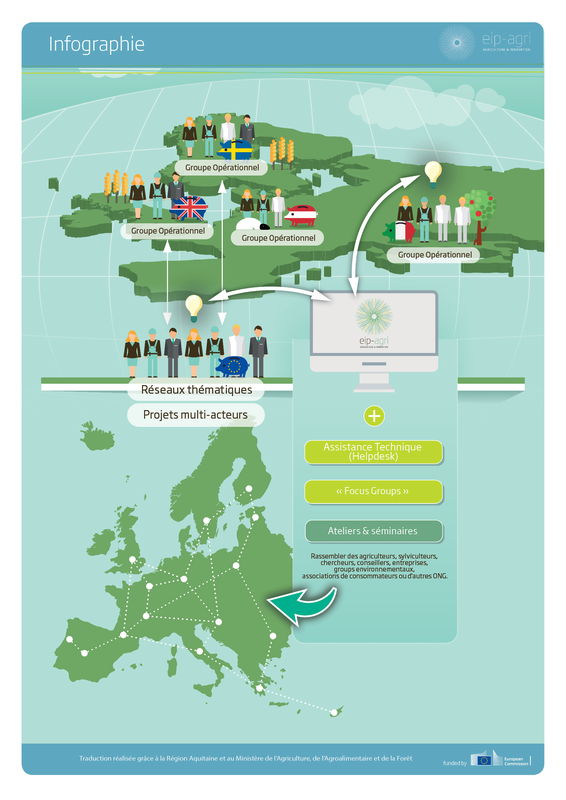 They support cooperation between research and innovation partners so that they can achieve better and faster results. 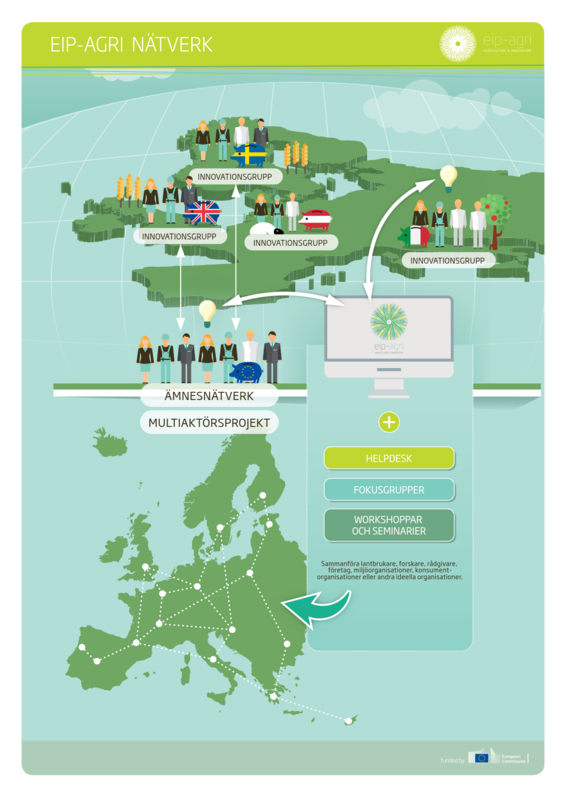 The agricultural European Innovation Partnership (EIP-AGRI) was launched by the European Commission in 2012. 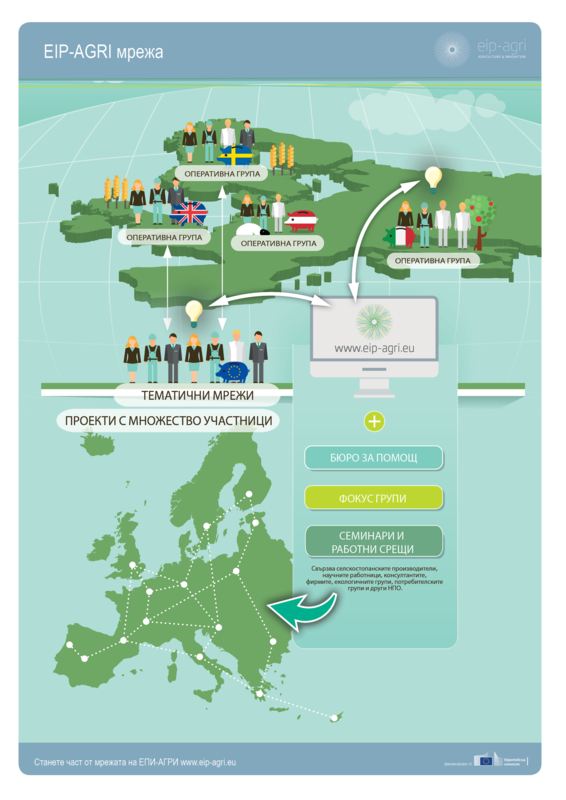 On this page, you will find the English versions of the updated EIP-AGRI Network Brochure (2015). 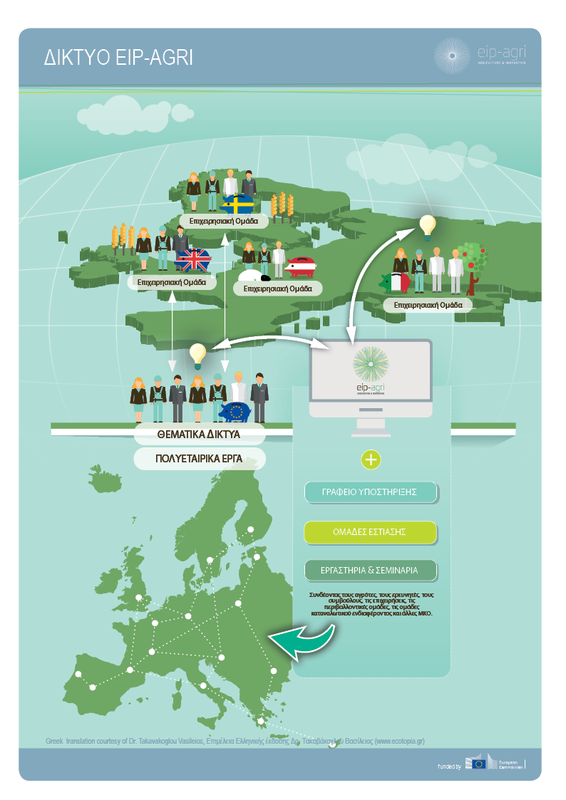 All translations are based on the earlier 2014 version of the Network brochure. Brochure & Infographic translations courtesy of: la Région Aquitaine et le Ministère de l’Agriculture de l’Agroalimentaire et de la Forêt (French); Dr. Takavakoglou Vasileios (www.ecotopia.gr) (Greek); Hungarian Ministry of Agriculture (Hungarian); National Rural Development Network – Romania (Romanian); Swedish Rural Network (Landsbygdsnätverket) (Swedish).